An important river that rose under the trees of Fangorn Forest, in the southern Misty Mountains. 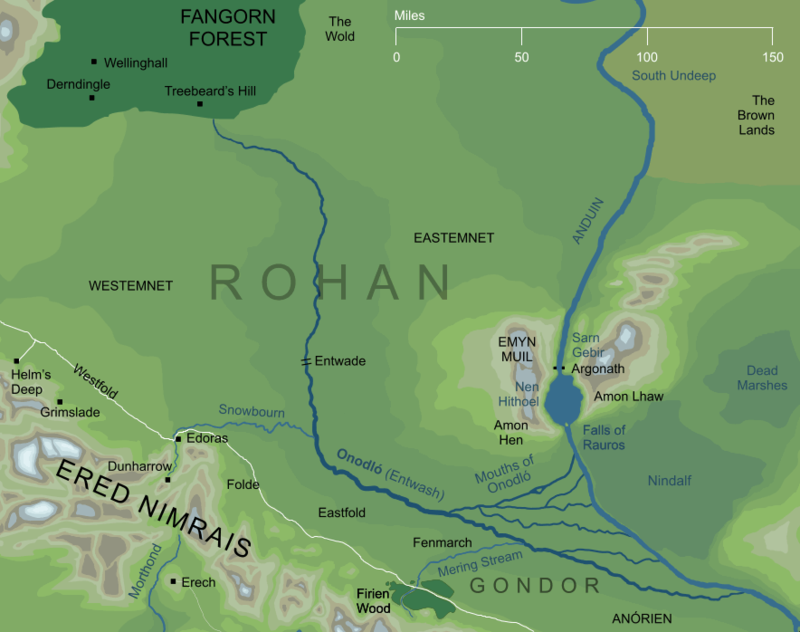 It flowed south through the land of Rohan (whose people called it the Entwash) until it met its tributary, the Snowbourn out of the White Mountains. Then, it turned eastwards and flowed on to meet the Great River Anduin in a vast fenny delta, called the Mouths of Onodló or the Mouths of Entwash. Original content © copyright Mark Fisher 2001, 2018. All rights reserved. For conditions of reuse, see the Site FAQ.